图1. 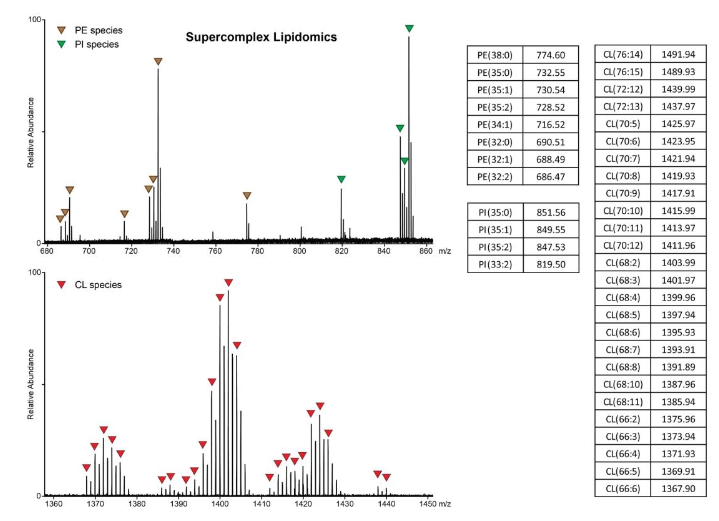 The lipidomics of the supercomplex. 图2. Important roles of phospholipids in the stability and assembly of the supercomplex. (A) The distribution of phospholipids in the membrane region (middle, view from periplasmic side) at the junction between the CIII monomers (left) and the interfaces between CIII and CIV (right). (B) A PE molecule mediates the interaction between PRSAF1 (TMH2) and CIV (CtaC and CtaD). (C) A PI molecule binds to the interface between QcrCTMH1 and CtaFTMH4. 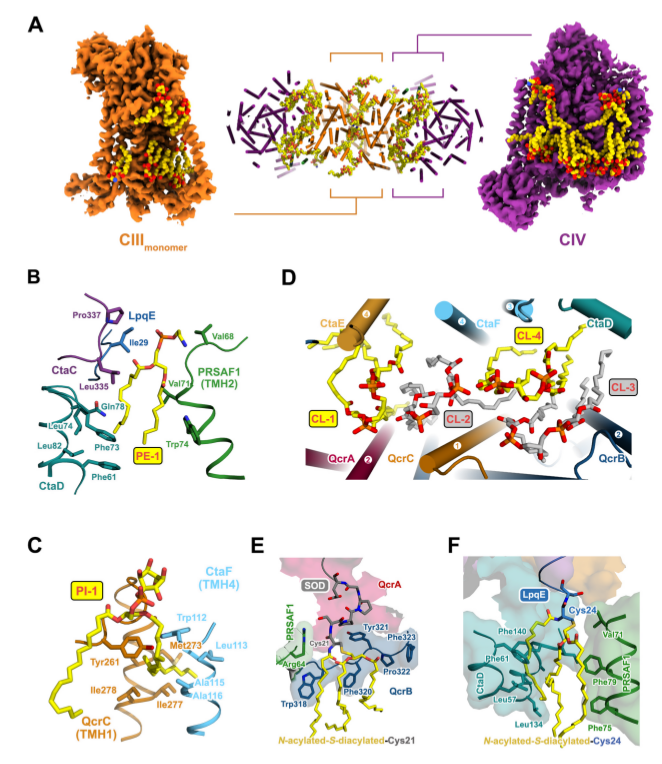 (D) Four CL molecules are bound in the groove between the TM regions of CIII and CIV (E) The N-terminal lipid modification of SOD at Cys21 binds to QcrB via hydrophobic interactions. (F) The N-terminal lipid modification of LpqE at Cys24 mediates the interactions between CtaD and PRSAF1.